Some of the best hybrid strains available can be found with Skunk genetics in them. Breeding with Skunk plants leads to interesting combinations which grow quickly and reliably. Here are our five favourite Skunk hybrids available to order now on Royal Queen Seeds. Why go Skunk? It's not exactly the most appetising name, is it? Yet it's prevalent around the world and considered a pillar of cannabis breeding. The strong diesel scent brings a real kick to many potent strains. Skunk began with Californian cultivators combining different landraces. The strains that spread from there bred Skunk into a wide range of hybrids. These became notorious for THC content climbing higher and higher. Skunk came to be appreciated for its potency as well as the ease with which its hybrids are grown in a variety of environments. When their dense buds flower, usually after a speedy flowering time, they will produce a powerful odour. Be prepared for the strong cerebral buzz they bring. 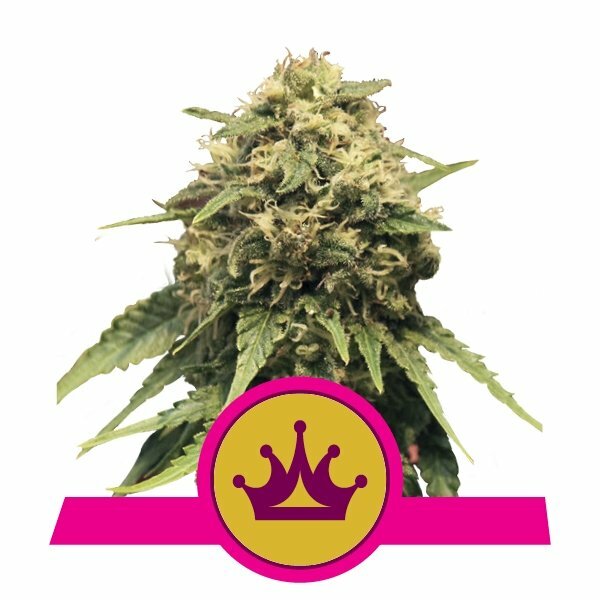 Here are five of the best Skunk hybrids we stock here at Royal Queen Seeds. Each is sure to please. When it comes to exemplifying the wondrous possibilities of skunk hybrids, what better place to start than with ICE? This strain came together from breeding a very specific combination of plants together. Skunk and Afghani landraces were combined with Northern Lights and Shiva. Northern Lights is itself derived from an Afghani landrace, while Shiva itself is a crossbreed of Skunk and Northern Lights. This breeding has led to an incredibly potent plant, covered in frosty trichomes for whose appearance the plant is named—making her an ideal choice for hash lovers. The uplifting high will leave you relaxed and happy, if not potentially dizzy. This will hit you hard with a strong minty flavour. Enjoy responsibly. If you are new to cultivating Skunk strains, here's an easy place to get started. You can harvest Special Queen 1 within 8 weeks of flowering and potentially see hundreds of grams of bud. This will get you used to working with a low-maintenance Skunk strain. However, it will still lead to a potent experience, with THC content surpassing 18%. The high it gives you should shoot up like a rocket, and you may not come down for quite some time. This is a long-lasting high that surges soothing feelings throughout the body until entirely relaxed. The high is the result of balancing indica and sativa effects perfectly in this hybrid. Top it off with a flavour that blends fruity, and spicy tones and this will be a very satisfying addition to your stash. Another robust hybrid capable of yielding hundreds of grams of dank, pungent bud is Lemon Shining Silver Haze. She is the combination of Lemon Skunk and Amnesia Haze—both potent, lemony strains in their own right. The result is a sativa-dominant hybrid that boasts extreme power. Expect lemony flavors and a THC content exceeding 25%, leading to face tingling highs. The buzz lasts for hours as it takes you through the heights of euphoria. This strain is not to be missed. By combining a unique blend of genetics, Speedy Chile is able to offer high-quality properties combined with an insanely fast flowering time of 6 weeks. 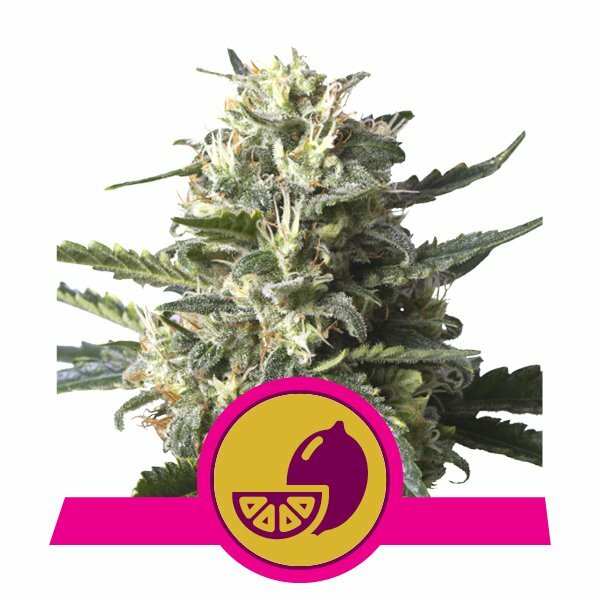 By breeding Early Skunk x Skunk x Chile Indica into an indica-dominant powerhouse, we have produced a Skunk-based strain rarely seen elsewhere. Speedy Chile has a THC content of around 16%, inducing a mellow high that eases the body and mind into relaxation. Her smoke has woody, spicy, yet fruity aromas to it that follow through into the taste. As a grower, she is super easy to grow, so is well suited to novices and veterans alike. She can reward anywhere up to 525g/m² when grown indoors. When you consider this with her short grow time, she is quite a winner! Sweet Skunk is an auto hybrid incorporating the best of indica, sativa and ruderalis properties. The ruderalis genetics make it reliable to grow in mild climates, and harvests can happen quickly within 8–9 weeks from germination. The thick resinous buds harvested will light up for a treat. A citrus sweetness will water the mouth as the effects of its high kick in. Expect sensations of soothing happiness and a pleasant wavy excitement throughout the body. This strain can produce a yield of between 60 and 110 grams per plant under the right growing conditions. 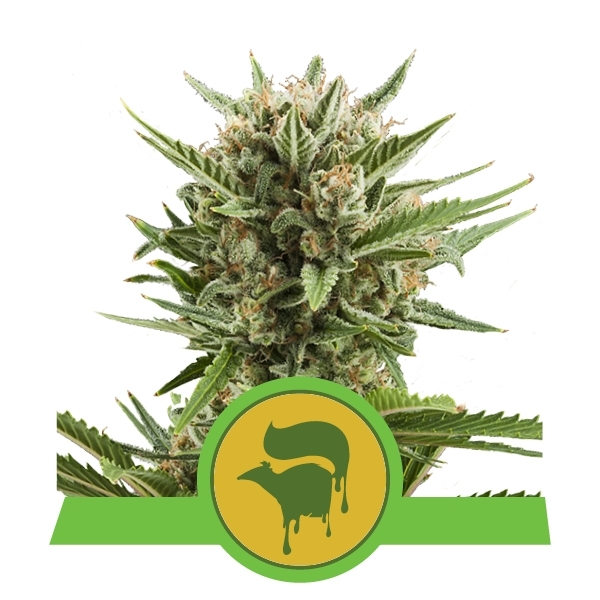 Skunk is a legendary strain, and there are many Skunk varieties out there worth your time. As you can see from our list, there is a wide selection available here at Royal Queen Seeds to suit every Skunk lover's needs. So be sure to check them out!